The beautiful White Mountains of New Hampshire are a perfect pet friendly destination for travelers seeking plentiful warm weather activities, spectacular fall colors, exciting winter sports, and some of the most beautiful scenery in the eastern United States. Spanning the north-central portion of New Hampshire, the White Mountains are a popular tourist destination because of their proximity to Boston. Mt. Washington, the range's most famous peak, is the highest mountain in the northeastern United States at 6,288 feet. New Hampshire's White Mountains are truly a four-season wonderland. In winter, visitors can hit the slopes at one of the region's ski areas, which include Attitash, Bretton Woods, Waterville Valley, Wildcat, Cannon, and Loon. 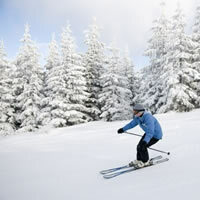 Since many of the resorts are in close proximity to one another, it's easy to ski at more than one resort in a weekend. Cross-country skiing enthusiasts will enjoy scenic trails throughout the 750,000-acre pet friendly White Mountain National Forest, many of which wind through picturesque New England villages. 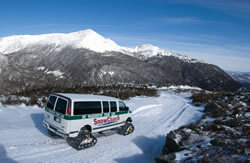 In warmer months, the White Mountains boast myriad opportunities for family fun. Many of the ski areas offer warm weather activities like gondola rides, alpine slides, zip line canopy tours, climbing walls, horseback riding, biking, and golf. The pet friendly Wildcat Mountain Gondola will carry you and your pet to the glorious summit, where you can enjoy a picnic while taking in the majestic mountain panorama. Other pet friendly activities include hiking in the White Mountain National Forest, swimming in cool mountain streams, and catching the rays at sparkling lakeside beaches. 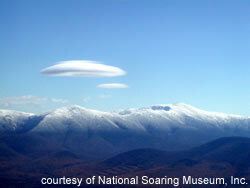 When visiting the White Mountains, be sure to enjoy one of the 18 family attractions in the region. These include scenic railroad excursions through magnificent mountains and gorges; the Polar Caves, an amazing series of glacially formed caves and passageways; and Santa's Village, Six Gun City, Storyland, and Whale's Tail Water Park for the younger set. For a thrilling adventure, hop in your car with Fido and take the Mt. Washington Auto Road to the summit. The ever-changing weather, gorgeous foliage, and magnificent vistas will build memories that last a lifetime. Several towns in the White Mountains offer pet friendly hotels and other lodging options that include rustic campsites, budget motels, full service hotels, vacation resorts, luxury home rentals, charming inns, and elegant bed and breakfasts. To the south of White Mountain National Park, and at the north end of Newfound Lake, Hebron, an authentic New England village, offers everything from historic buildings and relaxing ambiance to to great pet friendly hiking. Conway and North Conway are picturesque mountain towns with tax-free shopping, delightful entertainment, and delicious local cuisine. 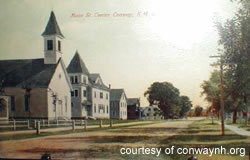 Other towns in the region are Bartlett, Jackson, and Lincoln. Finding pet friendly hotels in the towns of this region is easy with PetTravel.com. Just click the down arrow under REGIONS in the search engine above. Find pet friendly hotels in Pet Friendly New Hampshire, White Mountains.